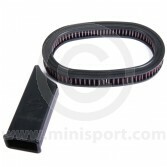 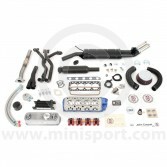 At Mini Sport, our comprehensive range of Mini Tuning Kits includes a selection of highly acclaimed Injection Tuning Kits for Classic Mini, designed to offer over 45% power increase in all Classic Mini models. 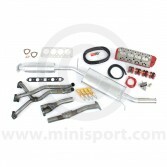 Our Stage 3 SPi and Stage 3 MPi Tuning Kits have been specifically developed to achieve significant power increase, improved acceleration and more efficient fuel consumption – transforming your Mini into a livelier, smoother and more responsive motor for an exceptional Mini driving experience. 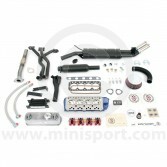 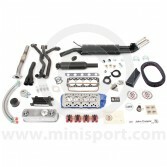 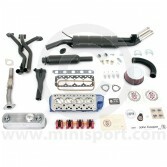 Our Injection Kits include a range of Mini Sport, precision engineered parts with a Stage 3 modified cylinder head, an alloy roller tip rocker assembly, superflow exhaust system, performance air filter, Maniflow injection LCB exhaust manifold, performance spark plugs and cylinder head gasket set. 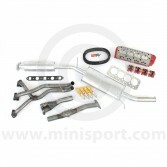 Browse our complete Injection Tuning Kit range for Classic Mini and please don’t hesitate to get in touch with a member of the helpful Mini Sport team on 01282 778731 or alternatively send an e-mail to sales@minisport.com if you require further advice or information.